Welcome to the year where I will meet my weight loss goal. Welcome to the year where I will work towards being more positive, judgement free, and kinder to myself and others. Welcome to a year where I can continue the great habits I have put into play since my surgery. Welcome to a year where I don’t need a resolution because I’m just living my life and working towards making every day better than the one before; making myself a better me than I was the day before. Welcome to a year that I’m starting off with Kaia Fit, not because I was “bad” during the holidays, or because I ate cookies or other crap. It’s just that the next session starts January 2. I will challenge myself, be brave, and power on. And last but not least, this will be the year I will teach myself to sew! Can you say alterations? I’m taking a bit of a Facebook break to give myself a rest from the fallout of the election. Too many emotions are starting to stress me out. In just a day, I realize how much extra time I have when I am not constantly staring and scrolling at my phone. I’ve decided to branch out the blog a bit. My various incarnations of the Hello Happy Pit Bulls blog were always about much more than the Happy Pit Bulls, and this blog needs to be about more than the unraveling of my intestines. So let’s talk about mindfulness. The months leading up to my surgery were stressful for a lot of reasons. Still dealing with depression after losing my dad, struggling with some tough decisions at work, and feeling physically broken, I started looking for some ways to reduce my stress. 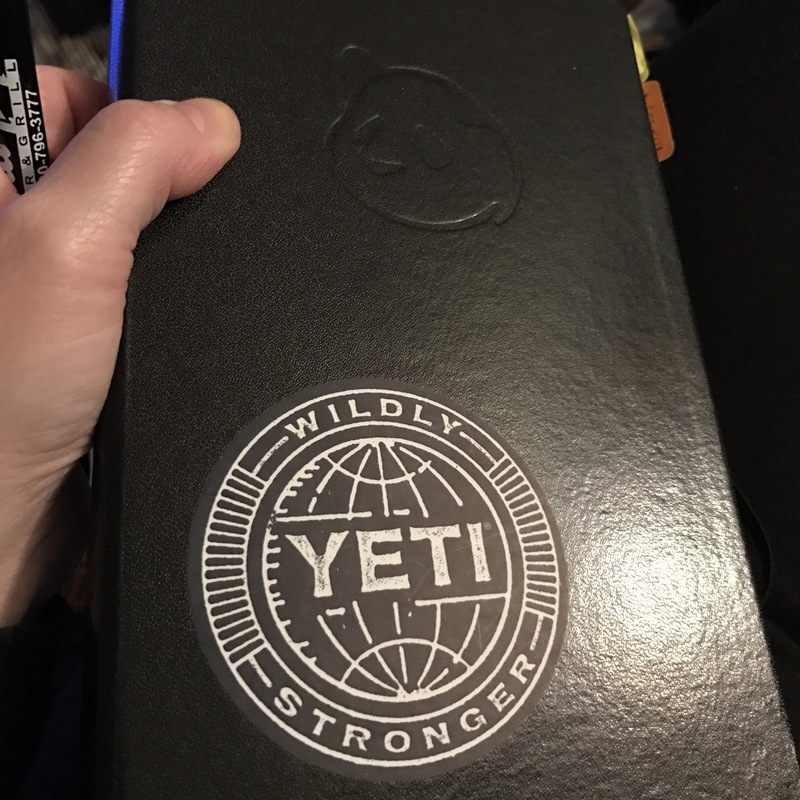 I actually took a training class at work about Stress Management and got some ideas about keeping a wellness journal to track things like sleep, moods, and physical symptoms and keeping a gratitude journal. I also started seeking some resources to help me better manage my anxiety and found a couple of podcasts I thought were helpful. One was 10% Happier with Dan Harris which talks a lot about mindfulness and meditation as the key to a happier, healthier life in interviews with famous people who practice meditation regularly. Check out the interview with the Dalai Lama. It’s awesome. So enter the thoughts about mindfulness. I started researching journaling techniques and discovered bullet journaling. Now, I am not going to be posting pictures of these beautiful habit trackers or spreads. I am not an expert doodler or hand drawn font superstar. But I did more or less follow the principles of bullet journaling. I’m using the Panda Planner. This planner has spots for gratitude and goal setting and planning and weekly/monthly review and daily affirmations and more. It’s really forcing me to think about things in my life, the blessings I need to acknowledge, and ways to stay positive during troubling times. I keep most work stuff separate from this because quite honestly I would be horrified if anyone from work came upon some of the crap I have written in there. So back to my Facebook blackout. I’ve spent my time away doing positive things like writing in my journal, searching for sources of inspiration on Pinterest and administering some self-care. It’s a wonderful feeling to be honest. Now we aren’t going to discuss my planner/office supply fetish. That’s for another time. But I did buy a new Panda Planner that comes with coloring book pages! Therapeutic!